Fratelli Bonvini Fratelli Bonvini Milano, an entrepreneurial initiative and a cultural project created in 2014 by a group of friends who are passionate about graphics, publishing, typography, and art. We refurbished the shop keeping all the original furniture and equipment, restarted the machines, and integrated the equipment. Here you can find all the objects related to our passions: pencils and pens, albums and notebooks, nibs and inks, books and rubber-stamps. Fratelli Bonvini Milano, stationery and typography shop since 1909, a historical place, renovated and brought back on track. Here we design and select objects, courses, events related to typography, as well as to art book publishing, writing and drawing. We delve into the artisan tradition and give value to memory with a contemporary and international vision, addressing people who care about quality and about the meaning of every experience. Stationery items, typography books, exhibitions by artists working on expression by means of typography and handwriting, events, stories of chairs, of recipes and of archives. Many objects still need to arrive to fill our shelves and drawers with new stories. You will find fragments of stories, perfectly restored collector’s items, and, above all, splinters of the future: we are planting the seed of the desire to do things with your own hands, of the uniqueness of gestures and experiences that are generated by analogic actions and physical networks, and by the new languages forged by technology. 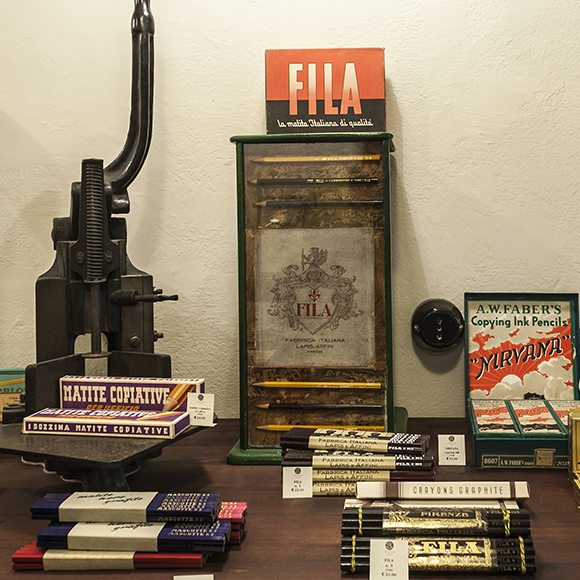 On July 9th, 1909, Costante and Luigia Bonvini opened a stationery shop in the district of San Luigi, in Corso Lodi in Milan. Their business soon evolved and became a stationery and typography shop, to meet the needs of an expanding industrial area with various types of clients for whom Bonvini designed and printed everything, from letterhead paper to price lists, using three machines: a late 19th century platen press, an Imperia cylinder press, and a Heidelberg Stella. Later, the shop was managed by Leila Bonvini, the founder’s daughter, and by her husband, Luigi Cambieri, who decided to maintain the authenticity of the family business until 2011. One hundred years of history have remained unchanged in a corner of Milan, and the survival of this place has made it possible for younger generations to experience the atmosphere of the past century, with all its narrative potential and many activities still to exploited. Bonvini Inscì & Compagnia Bela from matteo mattana on Vimeo.